I pride myself on being the best Albuquerque personal injury attorney I can be, and my clients benefit from my diligent and dedicated approach to the law. Without trust, no relationship can thrive. When you depend on your lawyer for pursuing the compensation you and your loved ones need to heal and rebuild your life after an injury, a lawyer’s honesty becomes essential. Above all else, I am honest with my clients about the merits of your case and the likelihood of winning the case. Likewise, I provide a transparent fee structure that lets clients know what to expect from the case’s beginning to its resolution. If you have suffered an injury, you need a personal injury attorney in Albuquerque who is capable of alleviating your stress. The unknowns in the aftermath of an accident can be overwhelming, which is why I always communicate openly and transparently. My clients can always expect to be updated on their case in a timely, responsible fashion. Personal injury cases take time, which is why you need a lawyer who will be ethical about the process and will commit to your case for the long haul. While the road may be long, a lawyer who cares and is truly dedicated to your case makes all the difference. An honest and caring attorney who is not also legally capable is little more than a well-intentioned friend. Honesty and ethics are of paramount importance, but so too is finding a legally knowledgeable Albuquerque personal injury attorney who can win your case. 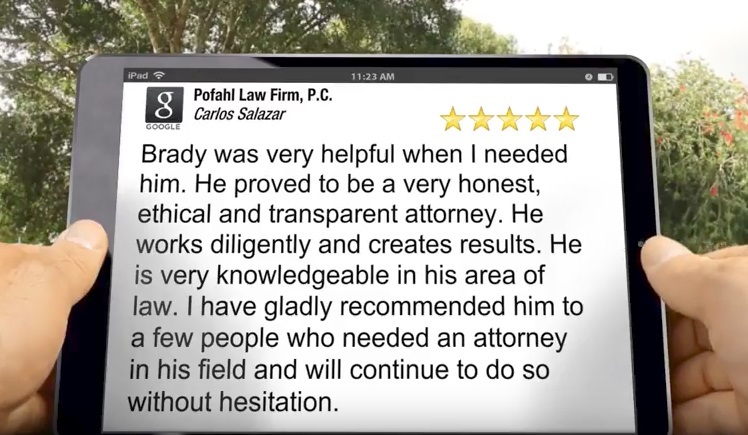 I am proud to say my client testimonials and their enthusiastic recommendations reveal that I am both honest, ethical and legally capable. When clients put their trust in me, I diligently get to work on getting my clients the results they both need and deserve. Contact me today if you need a legal consultation with an Albuquerque personal injury attorney who will provide you with the legal representation needed to help you receive compensation for your injuries.